Everything is better on a stick right? So why not PB&J! 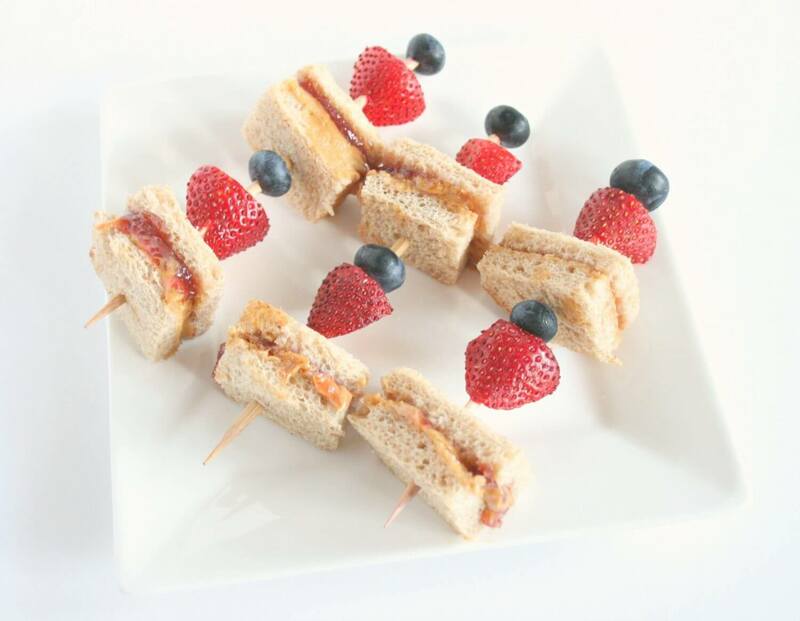 Jazz up your kid’s lunch with my Peanut Butter and Jelly Skewers. 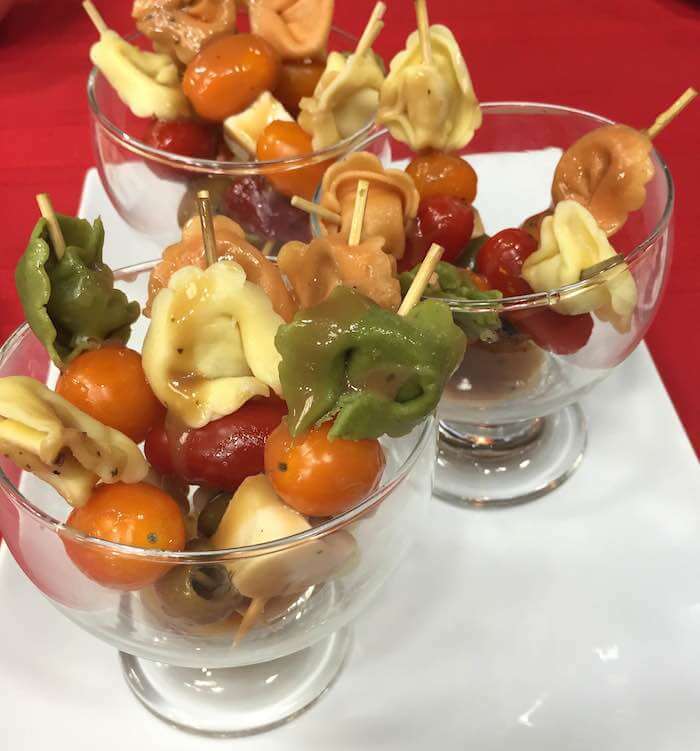 Kabobs and corn dogs are no longer the only foods served on a stick. Seems like everything these days can be served skewer style. 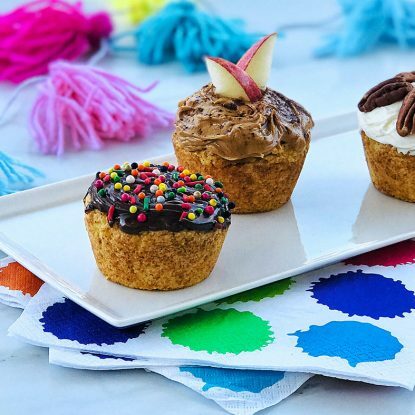 From cake pops, fruit skewers, and popsicles all the way to meatballs and bacon skewers- the web is filled with all kinds of food on a stick. So why not put the good old PB&J on a skewer too? 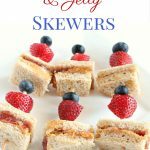 My peanut butter and jelly skewers are just as easy to make as your classic PB&J, but even more fun to eat. Plus this way, you are packing your sandwich and fruit all into one. Less clean up and containers! 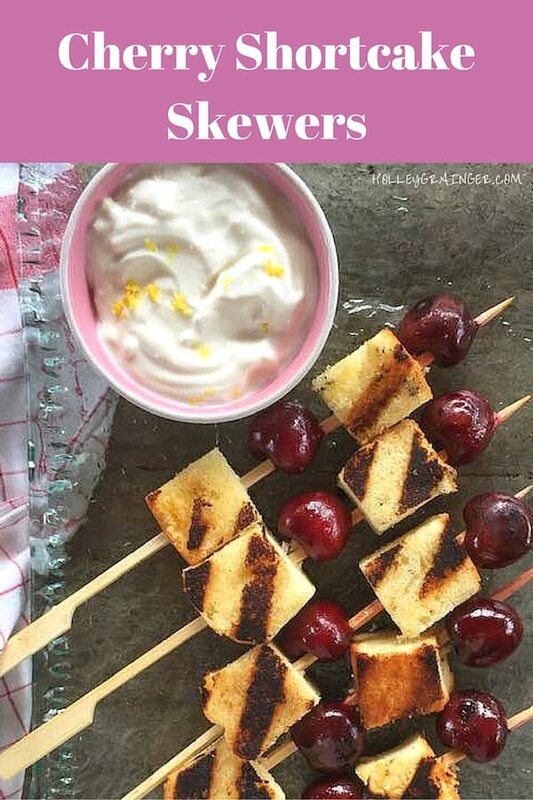 These peanut butter and jelly skewers are ready in 5 minutes! Simply make your peanut butter and jelly sandwich and cut into quarters. 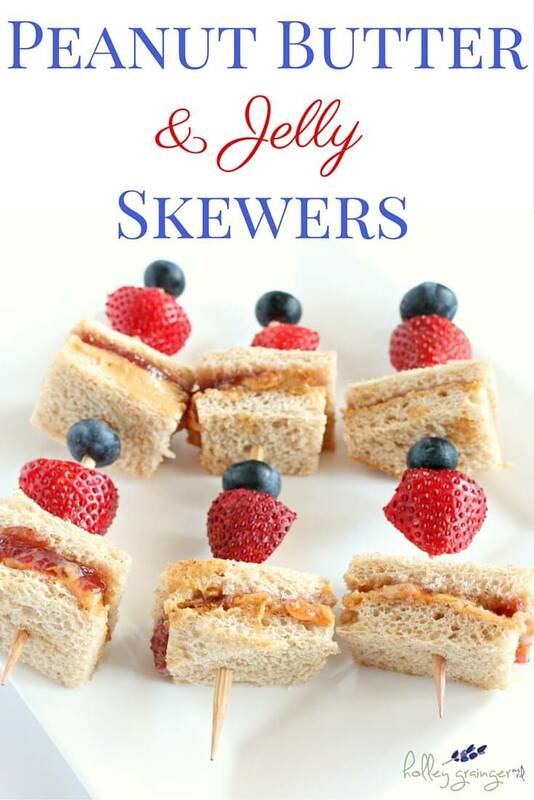 Layer your skewer with fresh fruit and the PB&J quarters. 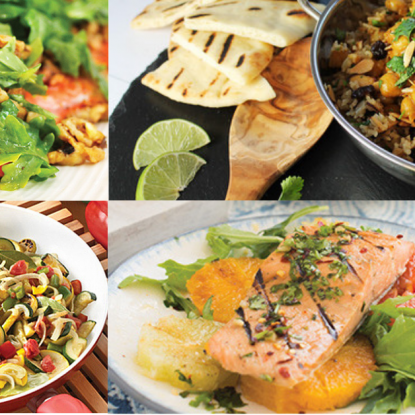 Mix it up by alternating the fruit and sandwich toppings. Using a knife, spread the peanut butter onto one slice of bread. 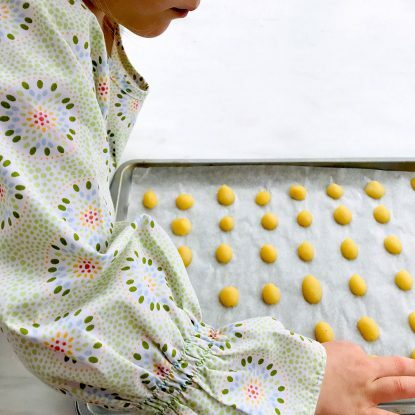 Spread the jam evenly onto the other slice of bread. Press the two slices of the bread together and cut into quarters. 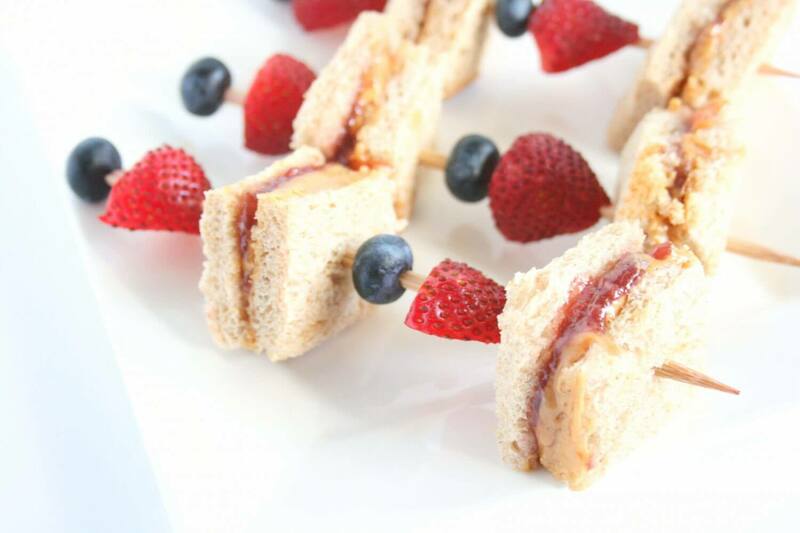 Layer sandwich quarters on a skewer with strawberries and blueberries. Everything is better on a stick right? So why not PB&J! 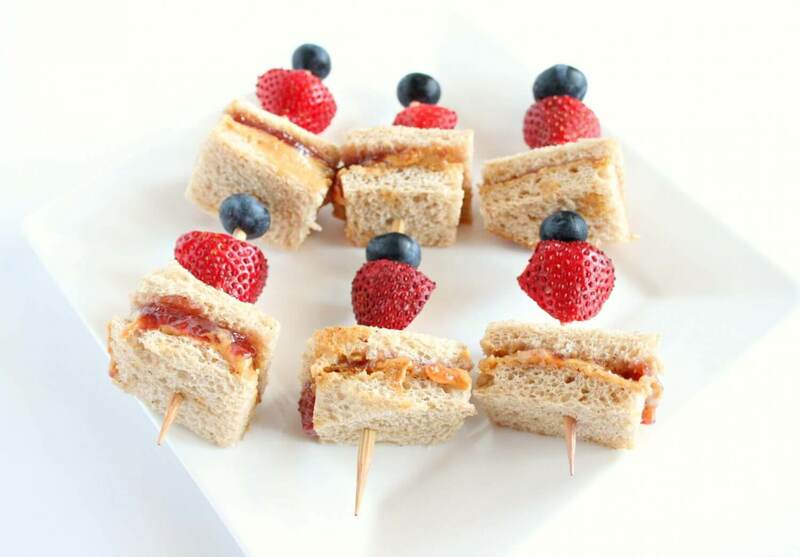 Jazz up your kid's lunch with my Peanut Butter and Jelly Skewers.